American Sports Media Personality Colin Cowherd Is Happily Married-Share Any Children? Home Article American Sports Media Personality Colin Cowherd Is Happily Married-Share Any Children? Not everybody can be fortunate enough to bump into their soulmate at the first attempt. Sometimes the second time proves to be the charm. This certainly proved to the case in Colin Cowherd's life after marrying on the second occasion. Cowherd is enjoying a beautiful married life with his gorgeous partner. Does this talented sports media personality share any children? Let's find out. Colin Cowherd's Blissful Married Life - Blessed With Any Kids? Colin Cowherd is married to his beautiful wife named Ann Cowherd. The couple tied the knot in 2010. The wedding was held at an intimate ceremony with friends and family in attendance. The lovebirds dated for a while before embracing each other as life partners. Although they do not share children of their own, Colin is a father of six kids. These include two from his first marriage and four from Ann's previous marriage. The duo is nearing two decades of blissful relationship. They currently reside in their grand house in Los Angeles. Cowherd was previously married to Kimberly Ann Vadala. The former pair shared wedding vows back in 1996. The former couple shares two children, both of whom are under the custody of their mother. Colin and Kimberly filed for divorce in 2007 citing "irreconcilable differences". There were speculations Cowherd's extramarital affair could have been the reason for their split. Colin smoothly moved on with his second wife, Ann Cowherd. Meanwhile, Kimberly has largely stayed under the radar since the divorce. 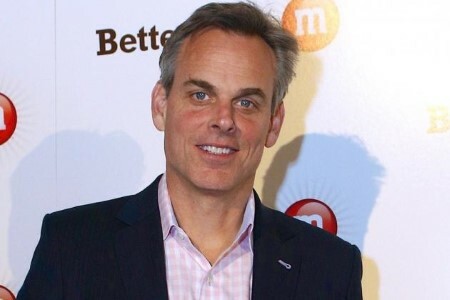 Colin Cowherd is a subject to several controversies. He was once criticized for his comments in regards to the scenarios surrounding the death of Sean Taylor. Cowherd claimed that Taylor's past had brought this upon him. He made this claim on 28th November 2007, merely one day after Taylor's home invasion murder. Colin added, Redskins fans who mourned him were not "grown-ups". Likewise, Cowherd made remarks connecting the number of baseball players from the 'Dominican Republic' to the game's alleged simplicity on 23rd July 2015. Furthermore, in November 2005, Cowherd was brutally criticized for his treatment of the death of Eddie Guerrero, a world famous World Wrestling Entertainment wrestler. He implied that Guerrero's death was caused by steroids use. Earlier, on 5th April 2007 edition of The Herd, Cowherd directed his listeners to "blow up" the sports blog The Big Lead. He encouraged people to simultaneously visit its homepage. As a result, the site was unable to handle the influx in traffic, and the site was knocked offline for approximately 96 hours. Cowherd escaped disciplinary action since there was no policy against such stunts at the time. Recently, in January 2019, he created headlines all again when he compared Nick Saban's coaching methods to Scientology. He stated that Saban's success is because of great recruiting and not because of great coaching. For further details watch the YouTube video above. Born on 6th January 1964 in Aberdeen, Washington. He was raised in Grayland, Washington. He stands at 6 feet 1 inch tall. He was as a loner during his childhood spending time on his roof and listening to baseball games on the radio. His career began as the play-by-play voice for the San Diego Padres Double-A affiliate Las Vegas Stars. He landed a breakthrough as a weekend sports anchor at WTVT in Tampa, Florida. 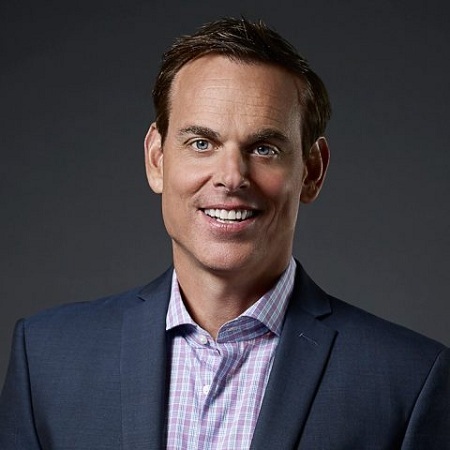 He is well renowned as the host of The Herd with Colin Cowherd on Fox Sports Radio and Fox Sports 1. He serves as a host of Speak For Yourself on Fox Sports 1. He has an estimated net worth of about $14 million. He has 1.35 million followers on Twitter.